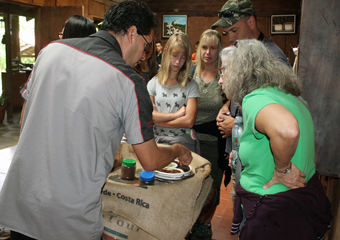 The Coffee Tour in Monteverde Costa Rica offers an interesting opportunity to learn about Coffee and Costa Rican folklore. During the coffee tour, participants will learn about the history, cultivation, and operation of a Functioning coffee 'benefit'. 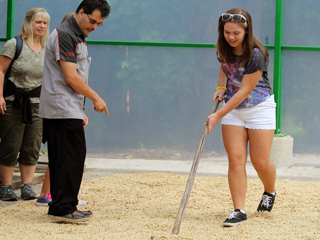 Visitors will have a chance to pick coffee and take part in the different steps Involved in coffee production. At the end of the tour coffee and souvenirs are available from the gift shop. 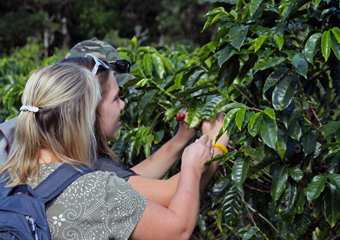 The Don Juan Coffee Tour is a chance to experience first hand the tradition That is the growing of coffee in Costa Rica. The farm has a typical ox-drawn cart that you 'can take a ride in. The tour lasts two hours and a half kilometers Involves walk along an easy trail. 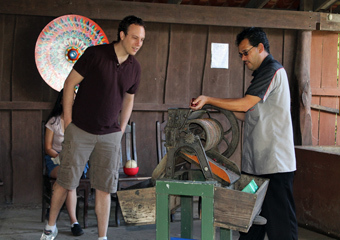 The tour Takes place on a coffee farm located two kilometers outside of Santa Elena - Monteverde. 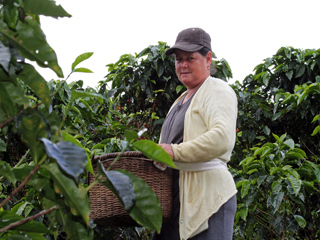 Since the end of the 19th century, coffee has-been a major part of the economy of Costa Rica. Have coffee prices since 1990 fallen drastically all over the world, and tourism has come to replace coffee as the largest segment of the Costa Rican economy. However, coffee farming still has a major impact on the culture of Costa Rica, and to native Costa Rican real-life experience everyone should visit at Least one coffee farm. Everybody loves chocolate! And on This 30 minute tour you will learn all about the world of chocolate. Besides Learning About Its History there is a hands-on element Where You Will Participate in the chocolate making process.